The Overdue Notifications can be enabled by clicking on ‘Enabled’ column and enable the notification. 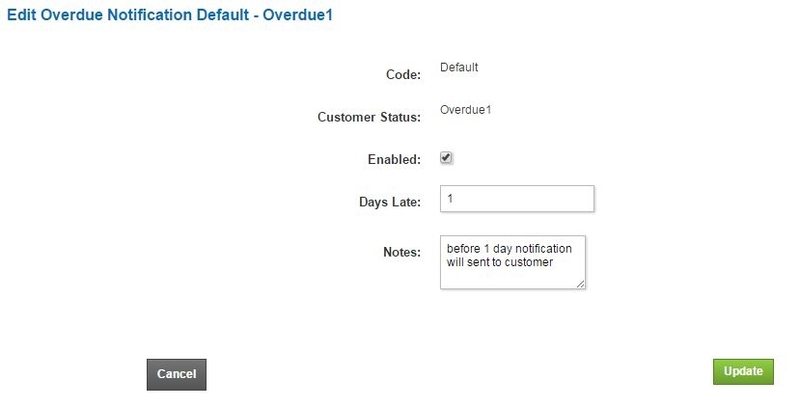 Enable the notification by clicking on Enabled and Days Late will help you define how many days after the Invoice Due Date must the Overdue Notifications be sent. 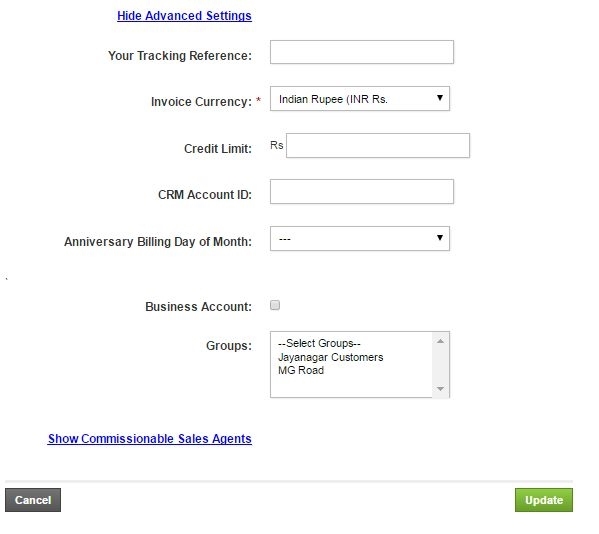 For eg, here 7 denotes that the notification can be sent 7 days after the Invoice Due Date. On click, it will take you to a different form where you can Enter the subject of your choosing and the email notification content. These notifications can be unique in terms of content and also the days on which they are sent. If the same customer needs more than 3 Overdue notifications, they can be added to different customer groups and notifications can be sent accordingly. 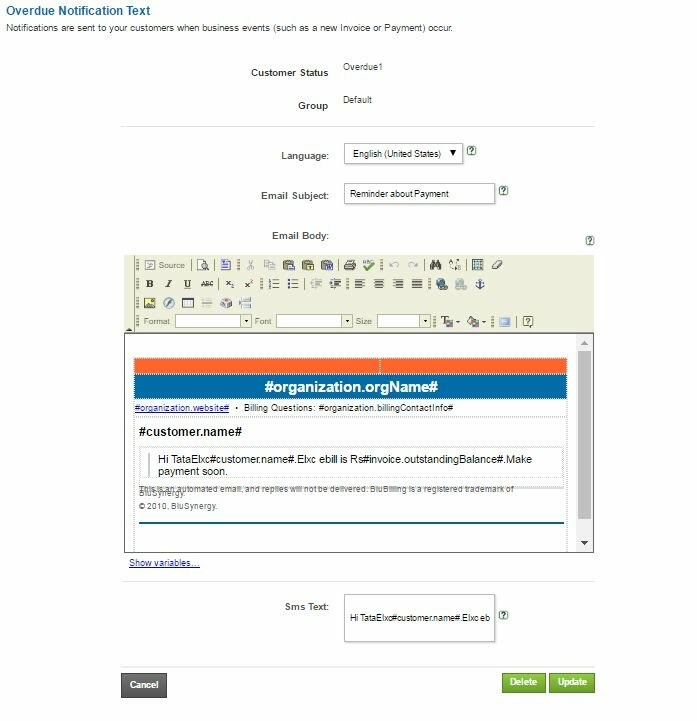 After clicking on the above, the page will expand and shows you the option to add this customer to a customer group as shown in the below fig.